A healthy guide to cooking, eating and aging gracefully. When I went to culinary school, maple sugar was the only sugar we were allowed to use. Maple sugar and maple syrup are natural products so it was advocated that if we're going to use any form of sugar, it should be good old unprocessed, unrefined maple. Maple syrup supports the immune system and also contains manganese and zinc. If you're going to buy maple syrup, don't skimp on the cheap stuff either! Grade A maple syrup is lighter and milder, Grade B has a more intense maple flavor. Since I'm the one who always makes the cranberry sauce for Thanksgiving, I thought this year I'd try it with maple syrup instead of the usual white, refined sugar. Cranberry sauce gets very personal for people. 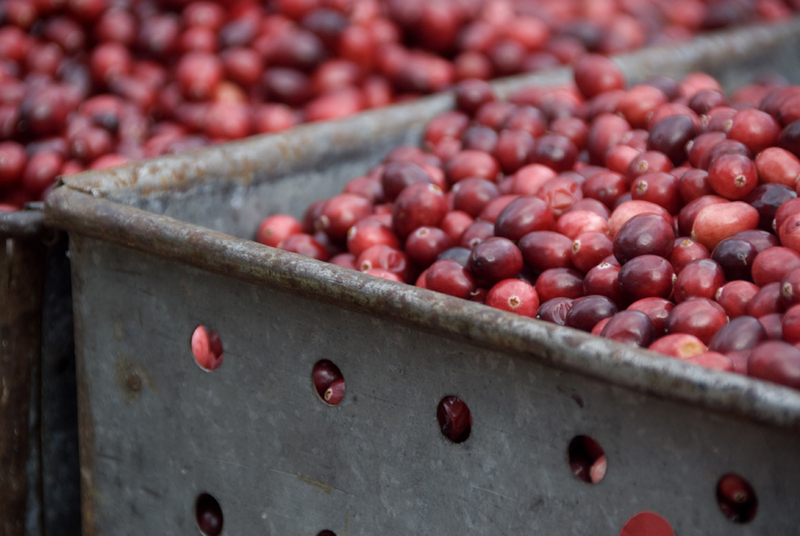 Some people I know who eat very holistically insist on eating the canned cranberry sauce once a year, because that's what they grew up eating. Personally, I like mine homemade, but I don't like a lot of diced oranges in my cranberry sauce and I don't like nuts in it either. I just want to taste the cranberries. This year, I bought some fresh cranberries from the farmers' market and thought I'd mix it up with another fall staple - apple cider. Because I love ginger so much and look for an excuse to put it in just about everything, and because it's so good for your digestive system, I added some to the cranberries. Since it's a holiday, you can go all out and use crystallized ginger instead, if you want. When I was telling my friend Sarah Abrams from the New York Women's Culinary Alliance that I made this wonderful cranberry sauce with maple syrup, she told me that her mom used to make cranberry sauce with horseradish in it. I didn't wince because for years, I used to add a little jalapeno pepper to mine. It tones down the tartness of the cranberries and gives it a nice little unexpected kick. I ran out to my local supermarket, which is conveniently right across the street, and bought a bottle of Gold's horseradish (don't worry, it's gluten-free!) and added a bit to the cranberry sauce. New tradition in my home! Thanks, Sarah! Wash the cranberries in a colander. Toss out any bad ones. In a saucepan, add the cranberries, apple juice and maple syrup. Bring the mixture to a boil and then let simmer until the cranberries pop, about 10 minutes. Remove from heat and add the ginger and horseradish, if using. When cool, add the lime juice and lime zest.